While the hugely popular Shonen Jump manga Naruto came to an end some time ago, the anime incarnation Naruto Shippuden is still going strong. And while the end of the story has yet to be animated, the franchise has already launched two sequel movies Naruto: The Last and Boruto: The Movie, both of which take place after the end of the manga. The latter of the two- which centres around Naruto Uzamaki's son Boruto, also launched as a manga back in May 2016. 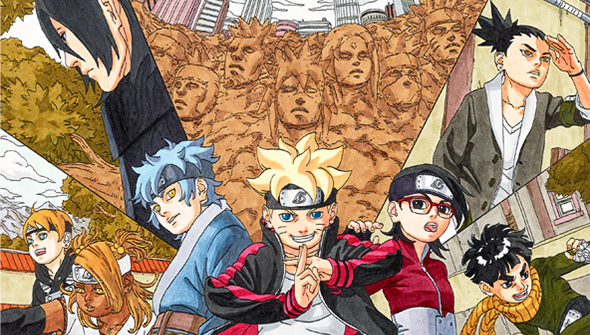 Now it seems that the further adventures of Naruto's offspring are headed for the small screen next spring. 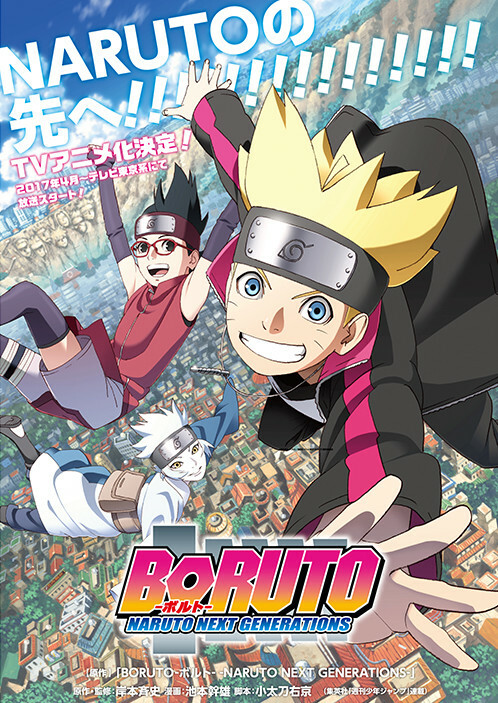 As announced at the Jump Festa event, the new anime series will be called Boruto: Naruto Next Generations. It will centre on the children of Naruto and his friends and fellow ninjas. Original creator Masashi Kishimoto will be directly involved (even though he is not actually the author of the Boruto manga) and claims "I plan to make it even better than Naruto." The new series will air on TV Tokyo from April 2017 and will feature the key voice cast reprising their roles in the original language version. A website has been launched (Japanese) featuring key art and information, and a preview video. Manga UK has released an English subtitled version of said promo, which you can see below, along with the promotional art.